Our new novel has been announced! 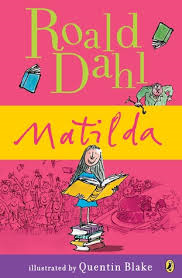 This term we are focusing on Matilda by Roald Dahl. This is going to be the focus for our Term 3 topic as well. We have already been laughing at some of the things Matilda has been getting up to, but it is also making us this about how she is treated and how we should be spoken to and speak to each other. We can't wait to share our work with you as we get our teeth into the book!